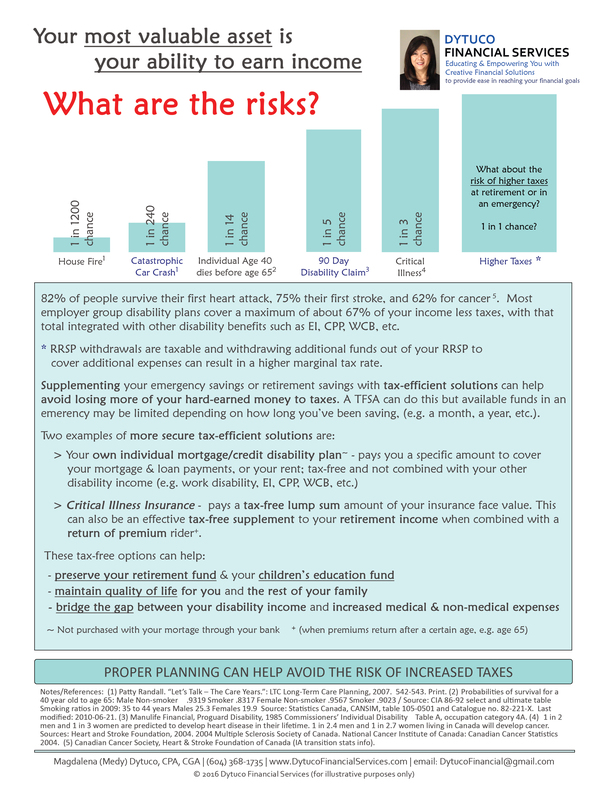 You are here: Home / Articles / What are your risks of paying higher taxes in an emergency? Your most valuable asset is your ability to earn income. What are the chances of you being unable to work due to accident or illness? What about the risk of paying higher taxes if you’re relying on withdrawing RRSPs for additional monies required – to pay for extra medical and non-medical expenses? What about if you have to get extra help or your family has to reduce work hours to help you out?